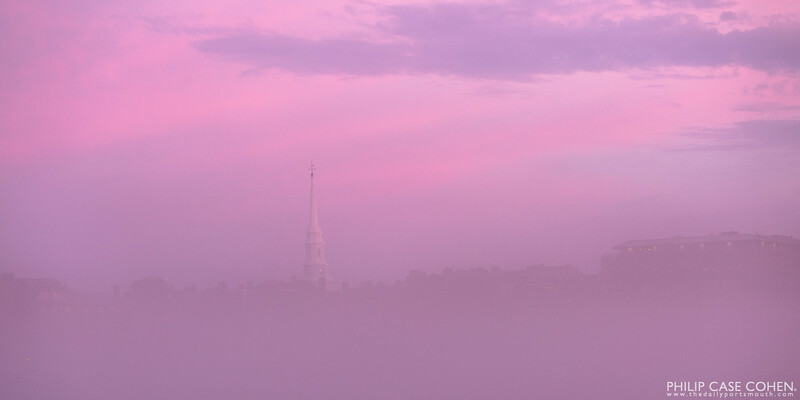 North Church in a Pink Fog. One of the more memorable sunsets I’ve experienced in some time! The thick fog hung around as the sun set, with the Portsmouth skyline barely visible from Kittery, Maine on the opposite side of the Piscataqua River. The fog was lit an eerie pink hue – creating a scene that I couldn’t have dreamed up.